George Roberts is the president of Sunstar Houseboats. George has lived in Wayne County all his life, with the exception being the time he spent in the United States Air Force. 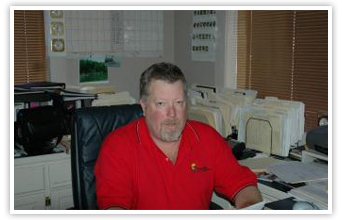 George has been in the houseboat industry since 1985 and brings 26 years of experience as the president of Sunstar Houseboats. With a firm commitment to quality production and customer service, George is proud of what Sunstar Houseboats represents to its customers and to our community. 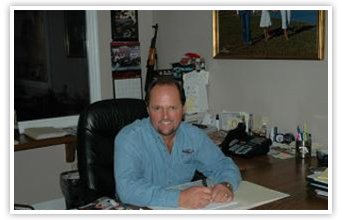 Bobby Gehring, Jr. is the vice-president and plant manager of Sunstar Houseboats. 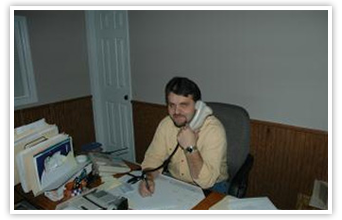 Bobby has been with Sunstar since the beginning and has an extensive background in construction. Bobby is familiar with all aspects of houseboat construction and is dedicated to making sure each houseboat produced by Sunstar is of the highest quality. He is a life-long resident of Wayne County and a graduate of Monticello High School. Paul has been in the houseboat industry for more than 20 years. He is currently the production supervisor at Sunstar Houseboats. Paul takes a great deal of pride in every detail of houseboat construction and has a vast knowledge of houseboat manufacturing, parts and maintenance. Paul doesn't settle for anything less than a satisfied customer and works hard to make sure every houseboat that leaves Sunstar is exactly what the customer ordered! Paul graduated from Wayne County High School.